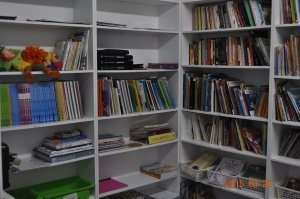 The ABCD’s Children’s Library is the only Brazilian library in Australia. in Portuguese for all ages. For more information contact Ana Eliza on library@abcd.org.au. Brookvale Public School, Old Pittwatter Rd cnr Pittwater Rd, Brookvale. Members can also borrow items via post or friends. Items must be returned within 2 weeks. You may also ask the librarian to hand the items to a teacher or a friend. Responsibility: Please note responsibility for the borrowed items rests with the person who ordered them. Please forgive us if the items you have chosen are out when ordered. They’ll be sent as soon as available. Please check postage with Australia Post – we recommend a pre-paid satchel up to 250 grams. Borrowing period by post: 3 weeks. Donations of children’s items in Portuguese are always welcome. Please contact the librarian to arrange pick-up/delivery.